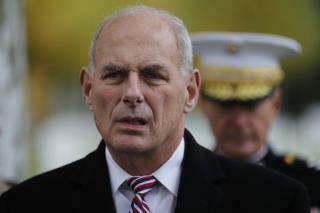 (Newser) – It's official: John Kelly is leaving the White House. "John Kelly will be leaving toward the end of the year," said President Trump while heading out for the Army-Navy game Saturday, USA Today reports. Rumors had been swirling after White House sources said Kelly was on his way out—and Nick Ayers, Vice President Mike Pence's most senior aide, might be taking his place, per the Wall Street Journal. "Stop calling John [Kelly] for anything," President Trump was quoted as saying. "Call Nick. He's my guy." But Trump aides warned that Ayers was more a Pence advocate, and Secretary of State Mike Pompeo reportedly criticized Ayers' foreign-policy skills. On the plus side, Ivanka Trump and Jared Kushner—who have bristled under Kelly's command-and-control style as chief of staff—are said to be pro-Ayers. Mid East Policies may have something to do with Kushners not liking Kelly! Allowing Kelly to announce his departure himself would have been the classy thing to do but then that would have been a new first for Individual-1. Trump, his daughter and her husband Kdelly is leaving. They couldn't stand the tough manner of a Marine general. They prefer a "yes man", bowing to Trump's every whim.